Author Wheeler, Lisa, 1963- author. 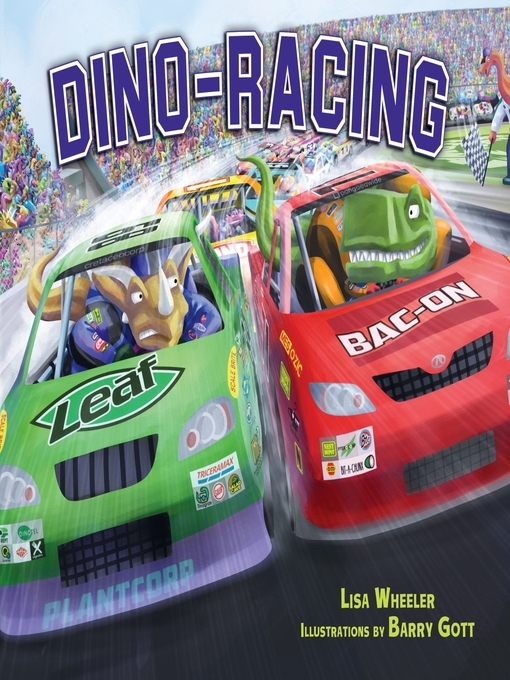 Title Dino-racing [electronic resource] / by Lisa Wheeler. Summary aIn this installment of dino competition, meat eaters face off against plant eaters in three high-speed auto events: drag racing, off-road racing, and stock-car racing. Lisa Wheeler's rhymes explore thoughtful questions such as: Which dinosaurs would make the best chasers for support in a desert off-road race? Does T-Rex's king status transfer to the track? And can Diplosaurus actually fit inside a stock car? Barry Gott's illustrations bring all the hilarious action to life. Automobile racing -- Juvenile fiction.